A scarcity among the rarest of gems, Hearts on Fire diamonds account for only a tenth of one percent of the world's diamonds. The world's first branded diamond was created by Glenn and Susan Rothman in 1996. Since then, fewer than 400 individuals have become qualified to create Hearts on Fire diamonds. The tangible evidence of these diamonds' excellence is the perfect ring of eight hearts on the bottom with a perfectly formed, symmetrical Fireburst on the top. The perfect cut and increased surface area are the result of a crafting process performed at 100x magnification using conflict free diamonds. We are ecstatic to offer Hearts on Fire wedding bands, fashion rings, earrings, bracelets, necklaces and engagement rings. The Acclaim engagement ring showcases the unrivaled perfection of the diamonds with its diamond encrusted band and crown. Sparkling diamonds bloom from the cluster floral design of the Beloved engagement rings. The HOF diamond is the centerpiece, surrounded by a halo of smaller diamonds. Brides will enjoy the classic elegance of the Destiny engagement ring, featuring a delicately cut round diamond. Many of these engagement rings can be paired with matching wedding bands in a marriage of heart-stopping perfection for the couple with love to last a lifetime. We also present the unique Lorelei collection for women who want to step into modernity while preserving the glamour of the past. 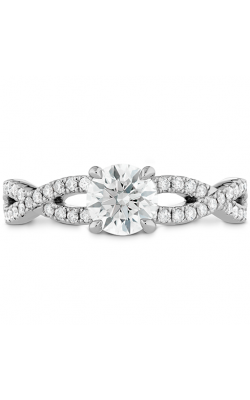 Lorelei engagement rings are vibrant, yet feminine. But the edgiest collection to date is the Triplicity collection which echoes the chic, yet sophisticated NYC atmosphere to help a woman stand out from the crowd. 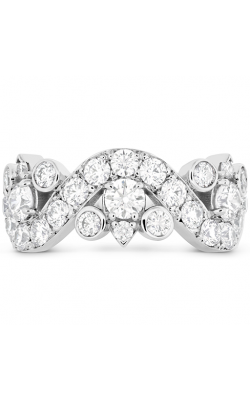 Women will also be pleased with engagement rings from the exceptional Delight collection. A perfectly cut center diamond is wreathed by cluster of HOF diamonds to create a look that is both unique and classy. Why Shop for Hearts on Fire at Northeastern Fine Jewelry? Originally established as the Northeastern Coin Gallery in 1980, Northeastern Fine Jewelry is now the Capital Region's highest volume jeweler. With three New York locations in Schenectady, Glens Falls, and Albany; our simple creed is to provide the finest quality jewelry for a great value with unconditional dedication to customer satisfaction. We're the source in the Greater Capital Region area for designer engagement rings, fashion jewelry, wedding bands, GIA-certified loose diamonds and luxury Swiss timepieces. For more information about our full-service jewelry and timepiece repairs, professional appraisal services and custom jewelry design services, visit NEFJ.com or call 1-855-795-NEFJ.